A little throw back post. Fall is in the air and what better print suits fall like plaid. I am of Scottish heritage and come from the Campbell clan. Anything plaid I'm in love with, especially the famous green Campbell plaid. 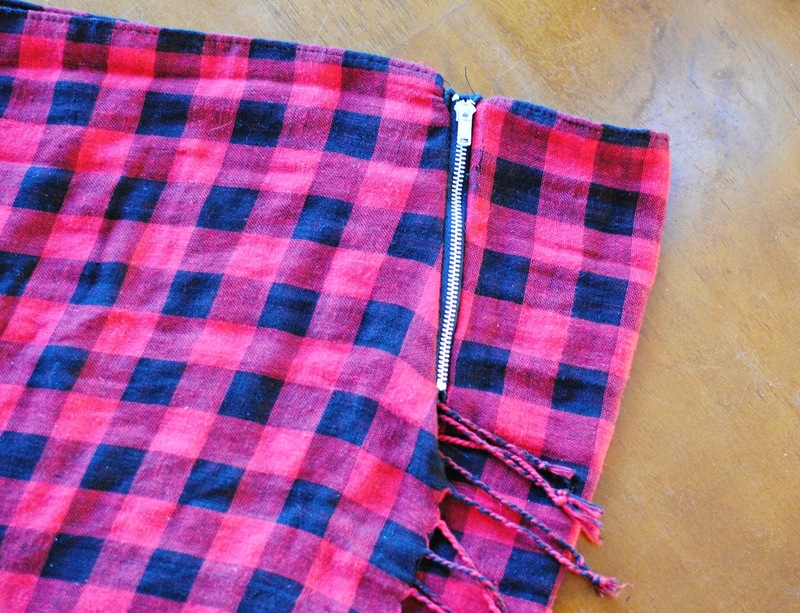 I found this buffalo plaid wool scarf for 1.00 and decided to make it into fringe kilt. I added a zipper to make it a little more modern. I wore this last year for Halloween here, I love the way this skirt turned out all from a zipper and scarf. You can use this technique with fabric as well which I will show you in the steps below. The great thing about this design is you can still wear it as a scarf. 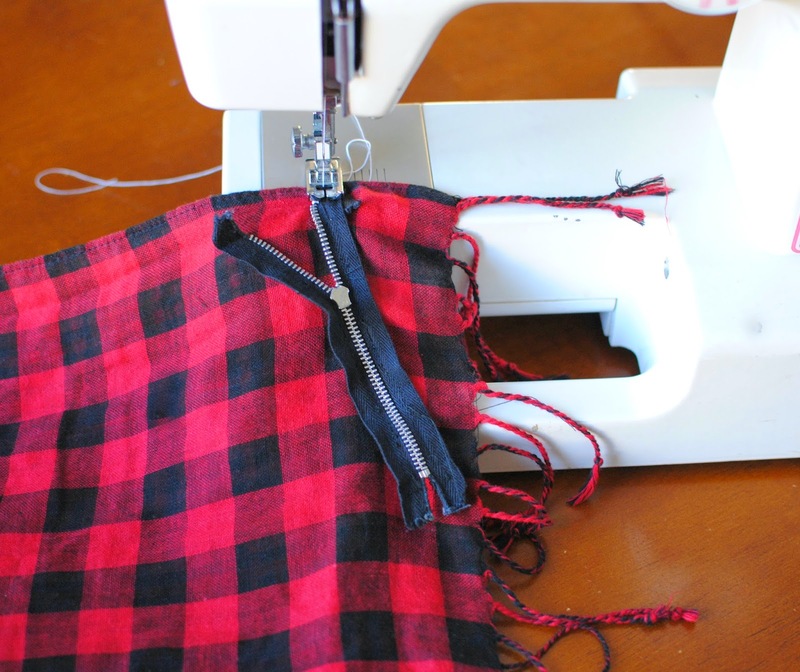 On one fringe side sew right sides together a zipper diagonal toward the fringe as shown in the picture. The zipper can be any size you want. Mine was 6 inches. Once folded over it will look like this. 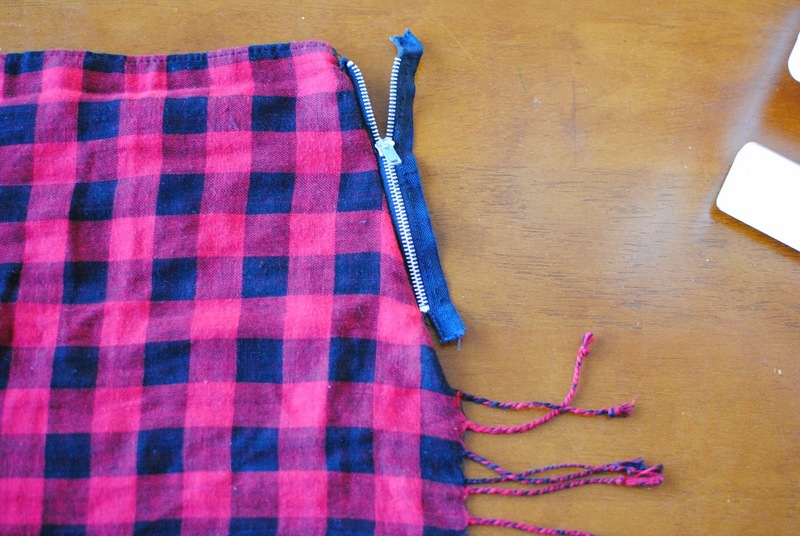 Wrap the scarf around your waist to find the point where it fits snug. Mark this point. Flip the zipper right sides together and sew along the marked point in the previous picture. It should look like this when flipped out. Use a snap to secure the rest of the scarf on the other hip. If you want it to fit snug in the back, follow the dart tutorial I posted on this skirt here. This is essentially the same pattern. Still can be rocked as a scarf as well. If you choose to use fabric follow the steps below. 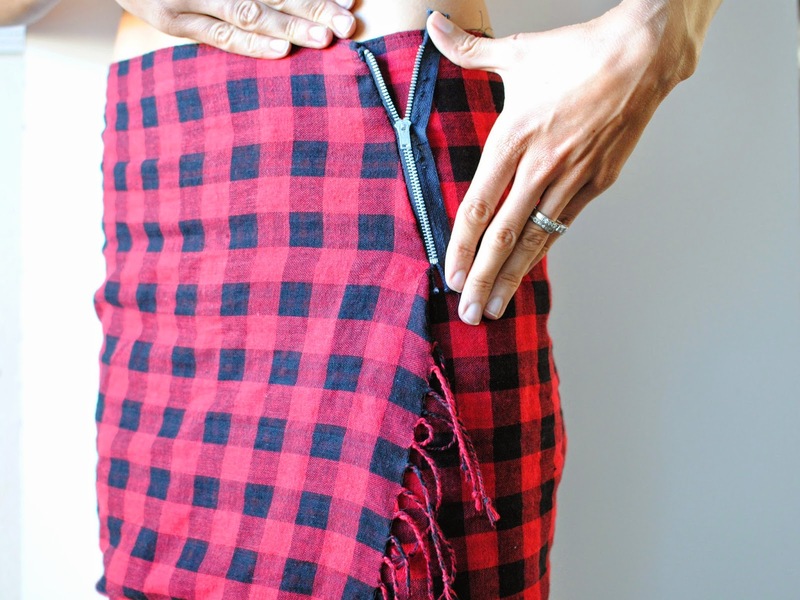 Cut the fabric to the proper length and width. To create a fringe edge you will pull the single threads from the edges. You will need a seam ripper for this. Start one at a time and pluck every so inch because they get stuck otherwise. This will take some time if you want longer fringe. Continue to pluck the strings to your desired length. Continue with the above steps by adding the zipper and darts. The longer you make the fringe you can then twist them together to create trim like the skirt above. very good idea ! Thanks ! the money estimation of the check, once confirmed and handled, will be stored in your financial balance. Be that as it may, the other inquiry is, in what manner can the bank confirm or confirm your check?